I always have an answer because I have a schedule. 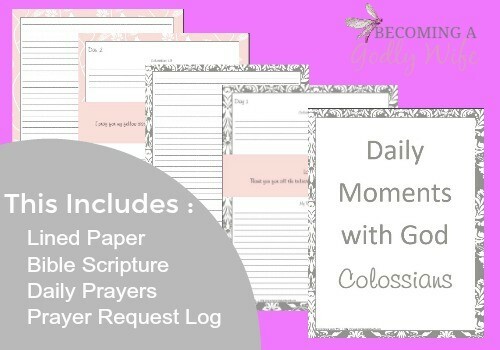 Currently, there is a schedule written out through the end of the year and it includes an in-depth Bible Study that my mother and I are working on – (it is like the Ecclesiastes Bible Study). I was hoping to complete it this summer and have it ready to launch this fall. But…if you have followed along on the blog over the past year, you know that I have gone through a family crisis, the death of a close friend and I have struggled with how to go on, when sometimes I feel like God is telling me to be quiet. Over the past 2 months, when I am having my quiet times, I continually hear God speaking to me in His Word through various scriptures, that I need to be more still. I need to be more quiet. I need to stop. So…that is what I’m going to do. So then – you may be asking…are you quitting your ministry Courtney? My answer is no – my heart and dream is to create Bible studies through the entire Bible – cover to cover – chapter by chapter. I believe God gave us 66 Books of the Bible for a reason – to be read and studied. This is my life’s work. But how quickly I get through the Bible – that is not clear to me. Jesus healed 10 lepers but they were not healed immediately. In order for the miracle to happen – they had to start walking in faith. Their circumstances did not change – even a little – until…they went. First, let me say, if there is a walk of faith that God is calling you to go on – friend – go. Walk it. Even if the future is unclear – go! I have a lot of pain that I have shoved under the rug. I need healing…I want to be well. So I’m going for a walk…with the King…alone. And how much time this will take, I really don’t know. I love journeying with you all – it’s my greatest honor – but this journey I’m headed out on – I think I’m supposed to do alone – in a private space – out of the public eye and into the prayer closet. I apologize to leave you all hanging here…but Friends, there are so many amazing Bible Study ministries both on and offline. Please keep going in your study of God’s Word!!! God’s word is alive and active. You don’t need me to have a vibrant walk with God. All you need is a copy of God’s Word (and please stay plugged into your local churches). You have the Holy Spirit with you and he will guide you into truth and comfort you and walk with you daily. If you are not sure what to do next – I want to recommend some resources that are available for you. If you completed our study through 1 Samuel – you may want to study the book of 2 Samuel next. 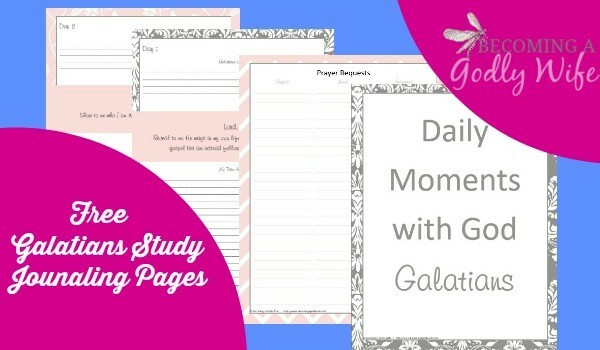 I have created a journal for you that includes the Introduction and Background, the GMG Coloring Chart, Reflection Questions, Verses of the Day and SOAK pages that you can do on your own or in your groups. 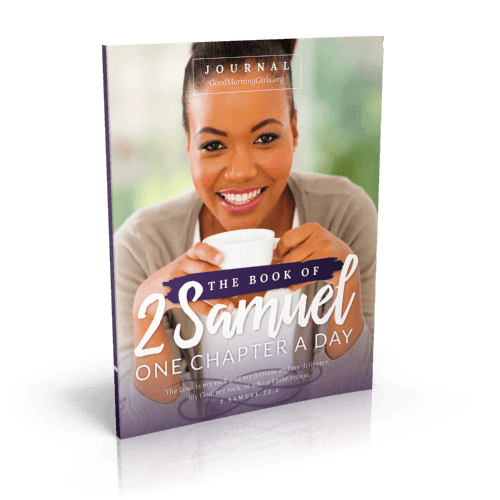 The 2 Samuel Journal is available exclusively on Amazon —-> HERE. 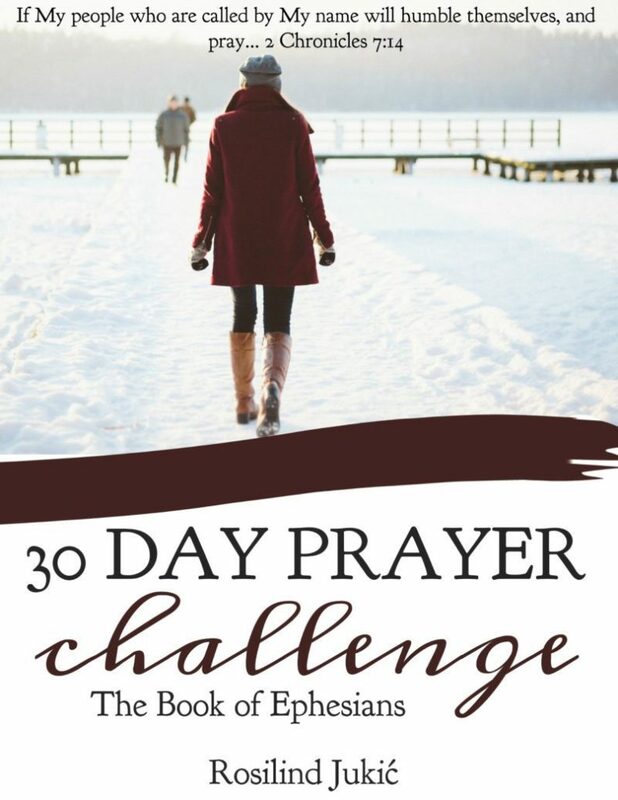 Did you know that I was a part of this exciting Zondervan project? No – you probably didn’t because when this launched in January of this year – I was neck deep in my own troubles and did not take any time to even announce this! So this is the perfect time to check this out! 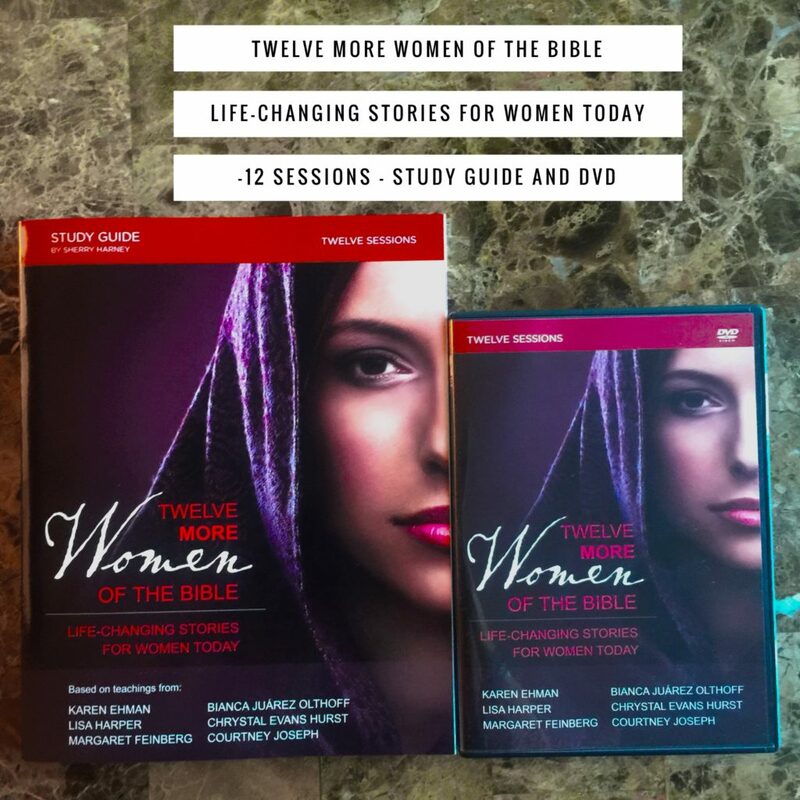 In this twelve-session video Bible study (DVD/digital video sold separately), some of today’s best-loved authors look at the spiritual lessons learned from twelve women in the Bible and what they mean for you today. You will look at these women’s successes and failures, see how they drew near to God in the midst of trials, and learn how they overcame rejection and disappointment. Their stories will inspire you to persevere through difficult times and find joy in the hope that Jesus has provided. The Workbook and DVD are available on Amazon and sold separately. This has been my best-selling Bible Study ever. If you have never done it – the workbook is available exclusively on Amazon BUT you can find all the free resources and the free video series right here on this website to go with it! Go to the GMG Resources page and click on the links there to find all of the free resources, blog posts and videos for any studies that you have missed. Next week, we celebrate the death and resurrection of our precious Savior Jesus. 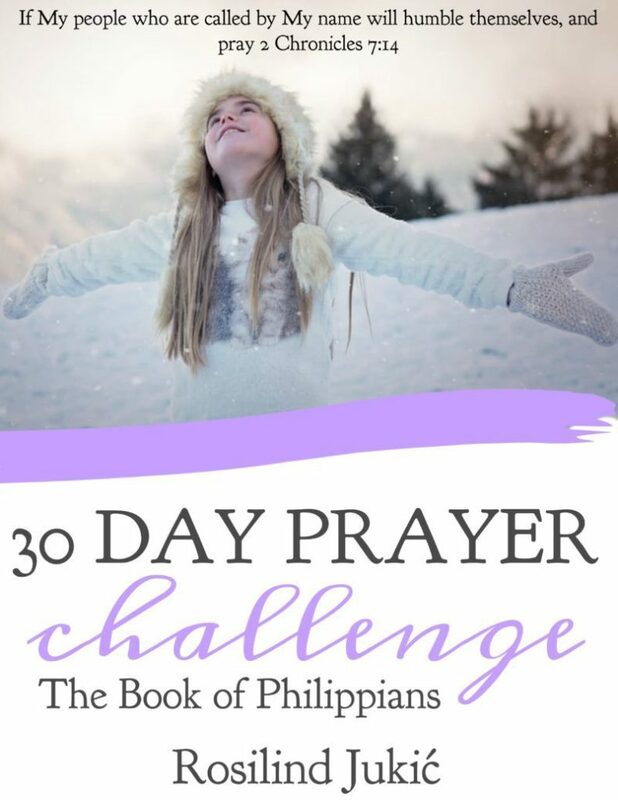 I will be here on the blog to finish out our study, through the book of Luke. Let’s finish strong in God’s Word! We serve a worthy Savior – He loves you so! And so do I! Very sad that you’ll be ‘quiet’ for a time because your posts and blog have guided and helped me through my own separation and reconciliation with my husband, but I understand and respect your choice. I pray that you get that healing you desperately need and when the time is right, you come back, because you know we’ll be waiting here with open arms. The loss of you and Janelle & Mandy to the Christian blogging world is GREAT – please know that you have made a difference in so many lives and have misistered to so many. My thoughts and prayers to you all and your families during this difficult time in your lives …. I kind of wondered about Janelle also. I used to frequent her site also. I too miss Courtney’s family-oriented posts but as her kids are now teenagers, I can respect their wish for privacy, especially now. Prayers!! I hope when you come back we can do proverbs again! You are a strong woman! Thank you for helping me learn how to study the Bible. I get so excited every morning to do my Bible study and ive Thank God so many times for you. So blessed to have found this Bible study, Thank you!!!! My prayers are with you on this journey. I think most of us have gone through (or will go through) seasons of silence. May this time bring you closer to God, to your children, and to yourself. I would like to thank you for your ministry. Through it I have been called to a deeper relationship with God and to the decision to become ordained and to have a degree in theology/divinity. Thank you. My walk with the King is so much more because of your passion. You will be in my thoughts & prayers as you go through your quiet time with the King. You are a very wise woman. My heart aches for you with the pain you have been/are going through. Praying for peace and healing for you and your loved ones. I love how authentic and real you are. You truly are a gift and blessing. Prayers for your journey. The King loves you and thank you for sharing the King with us. Hugs and prayers for you! He is with you every step of the way. You will be in my thoughts and prayers! May God bless you during this time of “quietness”. God bless you Courtney, you are doing the right thing. Do what the Lord wants you to do. I pray that your heart will be healed, and that you will grow so strong in the Lord! Say to the righteous – It is well. It’s Long overdue. Don’t know how you carried on through it all but thank God you did. I am sad yet happy for you to retreat with the one who loves you most. Enjoy your walk with the King. You are loved and remain in my prayers. Shalom sis. I will miss you and look forward to your return. I fully understand your need to walk “quietly” with God, and will be praying for you during this time. Thank you for all you’ve done, and will wait patiently for you to return. You have no idea how this journey has transformed my spiritual walk, and I have been a believer for some time, daughter of a pastor, and knew the Bible pretty well. But this slowing down and really meditating and praying over one chapter at a time has opened the word up in new and powerful ways for me. I want you to know what a difference you made and will continue to make in God’s time, for time and eternity. And I have started sharing my notes from my Luke readings with some friends who are in various places of either unbelief or spiritual growth. This is an excerpt from a post I made about how your program has impacted me. How Has this Reading Program Affected Me? So, I thought, “well what can I learn from Genesis?” And I realized, that by seeing how God interacts with the beginning of mankind and the forefathers of the faith, that I can learn about God’s character and nature. Numbers showed us God’s faithfulness even in the face of unfaithful people. The first step in falling in love with someone is to know them deeply and intimately. Reading the Word, including the Old Testament has given me a deeper understanding of God’s attributes so I can continue this love journey with Him. I have been here a couple of years — I am quiet — but you ladies have impacted me greatly! I have prayed quietly for you — I have wept over the loss of Mandy…much — I have remained quiet. You are loved…mostly by our precious Savior…but also me…us. I love our HOLY, LIVING, MERCIFUL, AND GRACIOUS SOVEREIGN GOD. Rest in Him, receive HIS healing, and be well. Hi Courtney! Just wanted to say that I have really appreciated your online Bible study/ blog/ Facebook/ you tube videos over the past couple of years. We will really miss you, but I understand that you need this time. Looking forward to when you come back to your online Bible study and website as you really explain Bible passages and meanings so well. I plan on reading 2 Samuel this spring. Thank you and bless you! Oh friend, as you go on this walk alone with the King our prayers are behind you. I am so blessed by the love and encouragement you have received from women all over the world as you have walked through the greatest trial of your life….and now as you take some time to rest and heal. You are loved. You are supported. And I know when you return, you will be filled and able to pour out more. But it’s time for YOU to be ministered to. I love you!!!! Courtney! God has truly spoken so much truth into my life since I found your ministry and joined with so many others “in spirit” as we read the books you put forth for study. I wholeheartedly support your precious healing time with Jesus and look forward to what Hw has for you in the future. I have got the method (SOAK) under my belt and will continue my path through God’s beautiful Word! Thank you for encouraging us and we will keep you uplifted in prayer. I don’t think I’ve ever commented, but I want to say thank you for all the work you’ve done and encouragement you’ve given. A local group I joined is following your study, and we have rich times of fellowship discussing the Word. I read your book a couple of years ago. I was shocked and heartbroken to read of your family crisis today. I’m sooooo sorry for all you have been through. You described much of my own feelings this year as Satan has been attacking my family in enormous ways. It was unexpected and the most painful emotional stuff I’ve ever endured. It has given me a greater love for the Savior and an enormous empathy for those who have suffered. My aunt is a biblical counselor, and she tells me that the area of the brain that lights up when you step on a nail with your bare foot is the same area that lights up when you experience marital turmoil like this. That stuck with me (pun intended) because that’s truly how blindingly agonizing it felt for me. I pray that your time of quiet will be enriching and healing for you. I just hope that the website, Pinterest page, fb page, blog, etc will stay open so we can use the great resources that you have provided. I would really miss not being able to see them from time to time. Good for you having the courage to do this. May the grace of our Lord Jesus Christ go with you. I’m so glad you take time for yourself and you family. You can’t share if you not follow the word of God. If God say be still, then you are still. I so totally understand. Having gone through the same family crisis as you again I say I understand. I know God will bless time you and your family throughout this next journey. He’s always with us. I picture you beside the water, being refreshed and restored – the Living Water…may Love wash over you and surround you and renew every cell in your being…may your heart overflow with Hope by the power of the Holy Spirit…may you sing and dance with the Divine … And may the Lord shine His face upon you and fill you with His peace and presence. In Jesus holy name I pray. I’ve been following you and your studies for a while and you and the reading through the Bible has been such a great help to me. Your honesty and love for Jesus were always evident in your messages and I’m so grateful for you! I’m sure it’s hard for you to take a break, but I admire you for being obedient to our Lord and what He wants you to do.. Thank you for your faithfulness in preparing all these studies. May God bless you and renew you in these days of quiet. I look forward to the time when He restores you and returns you to this work. Blessings and peace to you as you walk with the King! God is calling you to rest. The loss of your friend and her family is hard to get over but you are a child of God and hear His calling. My prayers go out to you Courtney and your family, may you find peace during your quiet time. I feel like I have come to know you even though we’ve never met! My husband started pastoring a church in 2008 about the time you started this blog. You have been an encouragement to me in my walk with God. There have been many blessings and also many times of deep sorrow along the way. Please know that you are deeply loved, and that many are praying for you. I pray that you will receive The peace of God that passes all human understanding at this time. I pray that you will not be discouraged, knowing that Satan attacks when we are serving the King. My heart is burdened for you. These are verses that I pray in times of distress. 1 † Hear my cry, O God; attend unto my prayer. 4 I will abide in thy tabernacle for ever: I will trust in the covert of thy wings. We all have the same Holy Spirit to comfort us and to lead us; in that way we are all connected. We will all carry on with our walk, as you take a much needed break from serving. And the same God who watches over us will be covering you with his wings. I considered myself a Christian my whole life but until I found your blog I never studied my bible. It’s been about 7 years and my life today has been transformed by God’s word. I’m so sorry that you’ve been asked to walk this road, I can only imagine how hard it is. You and your family are in my prayers, and I look forward to the day when you’re back to teach us again. I’m local and I just want to invite you to check out BSF I’m sure you know about it but it’s at Jackson Friends church and we have welcomes the last two Wednesday’s of this month. Maybe take sometime to step back and let someone else lead you! It’s amazing what God teaches me through his word! Prayers Courtney!! I don’t have much to add that the other ladies haven’t said but I just want to thank you for caring enough about us to give other resources during your time away. Also I hope it’s ok to recommend the first 5 app to the ladies. It’s on my phone and is a good study. It’s by proverbs 31 ministries and is a free app. Similar to what Courtney does. One chapter a day Monday-Friday and a YouTube video on the weekend. Courtney, You’re a blessing to me and so many others! You will be in my prayers. May God meet your every need, bring you healing and blessings. I have appreciated your studies and encouragement. We will MISS YOU on here, but Courtney, I am so excited for how close you are about to draw to Jesus. Spurgeon is quoted as saying “I have learned to kiss the waves that throw me up against the Rock of Ages.” These waves are slamming you hard, but they are slamming you against our Rock, our King, and He can handle it! He wants to help you through it – our God is so much bigger and stronger than anything in this world. Will miss you but looking forward to seeing you back on here whenever that may be. As I was reading where the Lord is leading you, I reflected back on my own journey. Six years ago, I had a similar family crisis, a loss of income, and physical health. The Lord led me to the same quiet place. He has provided for me, strengthened me, healed me in many areas, and shown Himself mighty to me and to others through me. I believe He will continue to heal me and bring restoration to me and my family according to His perfect will and time. I share this because I believe He wants to do this for you as well. You are His precious daughter and your wholeness is in Him. I am so grateful that you are obedient to Him. You have ministered to so many, including myself, and I believe He wants to minister to you now. I am praying for you to receive all that He has for you and am believing this time of rest and restoration will prepare you for the great plans He has for you. May the Lord continue to bless you and keep you in His perfect peace. Thank you so much for sharing your spiritual knowledge and enthusiasm over the years. (including the last year which has been difficult to say the least) You have many, many prayers going for you and your family, every day. “See you later”. Thank you Courtney for the last two years of studying the bible. GMG has helped me with my daily walk and I have thoroughly enjoyed the chapter a day. May God restore and renew you during this time. Ms Courtney, God has truly used you for this amazing blog. You have poured out so much of yourself and I have been so encouraged here. Please listen to God and rest. God will be with you always. Dear sister please take care of yourself. I support your decision for this community, whatever you choose!!! I’m praying for you. Even in this move on your part you are teaching us about obedience to the Spirit and what it is to truly Walk With the King. I will continue to pray for you and your family. Love and Blessings! You have been such an inspiration to me since I first saw you on the Rachel Ray show so many years ago. I knew from that one little tv clip that you loved Jesus and had a passion for sharing him with others. Thank you for encouraging me in my walk with Christ for all these years. I’m praying for you and your sweet family! I’m Praying for you, Sweet girl!! My husband and I have gone through some very challenging seasons at a rather rapid pace. I was spending time with God this morning, and was inspired to look through my old journals. I pulled out one of my Good Morning Girls Bible Studies from 2014. I began to weep, in awe. You see, in the midst of all the challenges and changes of life, God has been faithful. My husband recently received a job offer in Texas. He has been out of work for nearly a year, but God opened the door there. It’s been frightening – uprooting your life to move to a new place that you don’t know. But after visiting, we fell in love. We fell in love with the culture, and more importantly, the people. What really shook me this morning, is that we are looking at a house in Rockwall, Texas. What I didn’t realize (until this morning), is that Good Morning Girls is located in Heath. 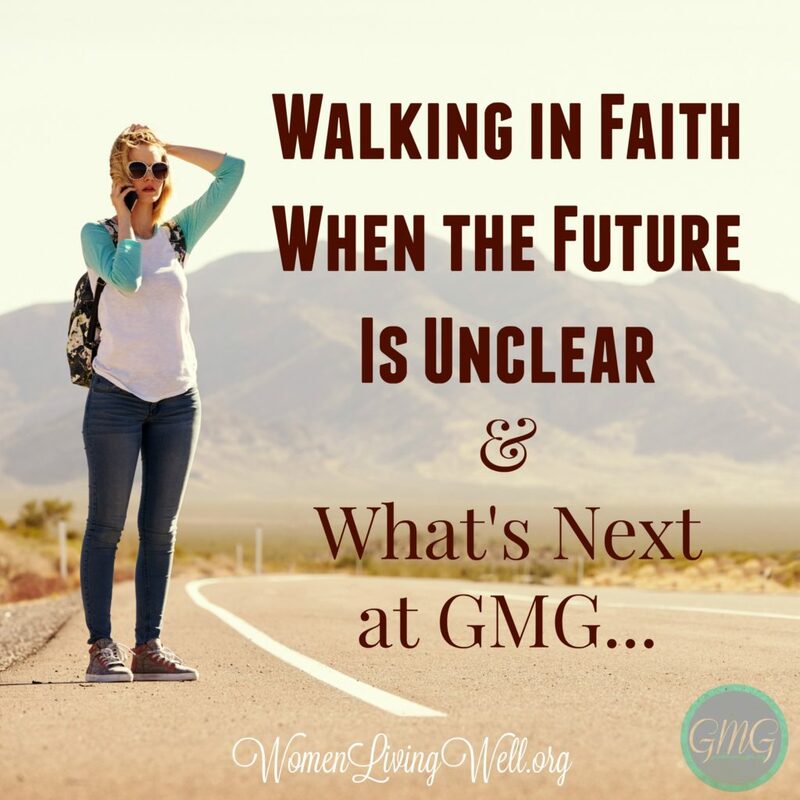 What’s more, your most recent post touched on moving forward in faith, even if the future looks unclear. All of this mornings events were yet again, another confirmation that our next step is moving to Texas. I hope to meet you one day, and if I don’t, thank you for following God’s guidance. You have truly been a blessing to us all. Happy healing, with love. have an important job caring for your family…and it is more difficult and time consuming and critical than the modern world wants to admit. I’ve been blessed by your blog, and I’m thankful for your work, but your sacrifice for your health and the health of your family will have eternal consequence. You have been a tremendous blessing to me and so many others. Thank you for all you have done and for being sensitive to the leading of the Holy Spirit in your life. I will be praying for you! Take all the time you need sweet sister in Christ! Drink deeply from the Living Water, find that peace that surpasses all understanding, and know that we all are praying for you! Thank you, thank you, thank you for how you have poured into my life. Now go, lift up your cup, and be filled with peace and healing in Jesus’ name! Courtney, we understand and will be in prayer for you. I just had to chime in and tell you what an impact you have made on my relationship with the Lord and on my spiritual walk of faith. You have taught me to slow down in my Bible study readings and inhale which has made a huge difference in my life. Thank you. I have been and will continue to be in prayer for you and your family. God’s good and many blessings to you and yours. I’m so sad to hear this but I respect you and your decision so much. I just had to take a break from something in my life that was very important to me for a long time. Something that I had invested years, money, blood, sweat and tears into. It was hard and still is but I’m finding out things about myself and healing in places that I didn’t know were even broken. I choose to believe that God is using this time of uncertainty, pain, lack and brokenness in my life for good. I pray for you and your time of quietness. It may be hard, but don’t feel like you need to figure anything out during this time. Just be. I don’t know how to encourage you the way I teally want to. I want to give you a big hug and whisper a prayer thanking God for you. For your faithfulness in a season of pain. For your example to the believers. And for your obedience to God in listening to His still small voice of direction. I am saying this prayer. And will continue to pray for you and your sweet family. Thank you for opening a window to your heart and pouring out to strangers what God has been filling you with. I am praying God will heal your broken heart and fill you overflowing with Hos love, grace, and mercy! Walk with the King, faithful woman of Grace!!! Dearest Courtney, may God richly bless you! You trudged through and taught me how to stand on my knees through the dark places I didn’t understand. Through your example I finally understood that no matter what happens it’s all about Jesus, and now that you’re taking time for refreshment I am blessed again. It reinforces what God has been showing me, to be still, to let Him comfort me, to be weak so I can be strong. Thank you! Drink up sister for we all thirst! May you be filled to overflowing! Until next time! I can remember the day when u stumbled across your blog. (I had googled godly homemaking and was directed to your book) I started following while I waited for my book to arrive in the mail and very quickly fell in love with your passion for the Lord! You are so infectious and I just LOVE that you still direct everyone to the Lord. In also in a period of the Lord telling me to be still and quiet. It feels so humbling but still so relieving that He wants to spend time with me alone and nothing else. We all love you so much and take all the time the Lord asks. You have my full support and such deep love!! Thank you for continually following the Lord! Many blessings!! We can’t wait to see you in future! I am praying for you my dear sister. I also applaud your courage to follow your heart and prompting of the holy spirit. God Bless you and yours. I live in a remote isolated community, the language is one I don’t fully understand, and the churches speak this language in the service. I have live here four years and while I have picked up some of the language I don’t understand it fast enough to attend church here. I found your GMG site in a desperate attempt to keep my strength and grow, mature and Touch His garment. Through it I found a group of Ladies that hold me accountable. And a Love for My Saviour deeper than I thought possible. The impact you have made in my life and others, because of your Love for our King is something you will not fully grasp until you Arrive in glory and He says well done my good and faithful servant. And yet, even though so many have posted- I will hazard a guess and say it is likely only 1% of the women you have touched have posted I know 100% will be praying. You are covered in prayer, may you find rest in the shadow of his wings! Rest, heal, rejoice and cry. You are covered and not alone! In the times you need extra prayer or feel you can’t take much more. Cry out to God ask him to have someone intercede for you. I pray that we, who have received from you will hear Him tell us when to pray and intercede for you as you require extra support! Be Blessed. Another Thank you in a list of thank you’s but just as heartfelt! Looking forward to hearing what path He has you on once you have been restored. To be honest, I think I get so caught up in completing the Bible studies that I fail to really spend intimate time with God. So I’m going to take this break to do just that…just God, my Bible, my crying heart, and my listening ear. I’m going to work on connecting with him more intimately, and learn to implement this into my daily Bible studying. I need to stop focusing on just merely completely the studies and more on spending time with my Heavenly Father! ~~~Thank you for inspiring me to take my own time to get away with God. I’m praying for you!! You have been such a blessing to me over the years. I’ve grown because of your ministry and I’ll always be so thankful for it! I hope you and your family have a great Easter! Thank you for your honesty and heart. Be well dear sister in Christ, prayers. Praying for a speedy healing and a GLORIOUS time with the Lord. Thanks for all you have given us women over the years! Love you heart for the Lord. I found this site a couple of years back and through it I have learned and grown so much, thank you for that! The Lord is shepherding you into a new season and because of your obedience, blessings will abound! God Bless you and your children through this new journey. Let us keep Courtney and her family in our prayers and lifted, we all look forward to your return but the most important thing right now is you and being alone with God. We are praying and wish you well and for you to find yourself and healing in this. Thank you Courtney! God bless you! When God is talking you must listen. It breaks my heart that you are going through this Psalm 23 time in your life. Let God guide you in this time of need. “Be still and know that I am God.” Heeding to His command is vital at this time. I will miss your guidance in the scripture but know that God willing you will return when it is time. Be good to yourself. Pray or our church as we are in a time of tribulation. Our members are all senior citizens and are very few. We are looking for a sound gospel church to continue our worship. Please include us in your prayers. Again, thank you for you help in guiding us with our walk with God. Thank you for helping me get on track reading the Word. From that, I’ve gained a new prayer life, too. Your name has been in my prayer binder long before you stated you were having issues at home. God knew and I’m sure I wasn’t the only one He prompted to pray for you. And I will continue to do so. More than a year ago the Lord led me to be “alone” in my study and prayer. Pulled me back from lots of things …for I had asked Him for a lot. To have all I asked, I need preparation time. And I’m 66 years old! So, my friend, you WILL get through this, you will have deeper understanding of so much of life, a greater appreciation for the little things where much joy comes from. You are about to embark on the journey of journeys.. and on the other side….oh my…on the other side you will be stronger and satan better look out! You will have rode the waves of anger, disappointment, hurt and a whole bunch of other waves but then you will KNOW the One who walks on the waves. You will have gone through the storm and then become the storm to the destroyer. All that sounds “hog wash” now but you just wait and see. Praying for you in your silence. The still small voice is louder there and you can hear the love whisper. I totally understand your need, your thoughts and your direction! I lost my mother last month and it has changed everything! May God give you peace and comfort! Thank you for all you have meant and mean to me! My sweet sister in Christ, may the abundant love of the Lord abide in your heart and in your home, and may the Lord walk closely with you during this season. Thank you for serving so boldly, and for your true example of commitment. You are one true Women of God that I so needed in my life. Thank you Courtney! God bless you and your beautiful family! Courtney, it’s in these still quiet alone moments with God when we find our peace with God. We can communicate to Him in spirit & He hears us in spirit & never turns us away. Courtney, I have so much respect for you. It’s hard for most people to get still and quiet and I imagine it is even MORE so when you have such a huge ministry/following. Thank you for your example of putting time with the Lord before everything and everyone else. When you return, I have no doubt your ministry will be even stronger and more glorifying to the Lord. Will be praying for you Courtney. You’ll be missed but you do need to do this and i pray that you do find healing you need. Would ‘see you’ when you get back,no matter how long it takes. Thank you for all that you have done through Women Living Well. You have renewed in me a desire to read the Bible at a time when I wasn’t sure how to start. I have not been active on the site, but always watch your Youtube videos and followed you through the book of Judges as one of my first real in-depth Bible Studies. Your love of the word lives God planted you in to touch our hearts at just the right time in our lives. Now it’s time for us to do the same for you. I will keep you in my prayers. Wishing you the peace and renewal and an amazing journey it will be for you. I have long admired and been inspired by your ministry. You are a truly beautiful and inspirational soul. Heal with the joyful wonder of knowing His love. Your future will be very bright. You will be missed! Take the time you need for healing. Listen and be still. Grow, learn, reflect and listen. God is faithful, he will guide you. From one sojourner to another may your journey be fruitful and blessed!! I admire your courage to do this. It’s easy to stay public, it acts as a distraction. But…healing sometimes need quiet and solitude. May you continue to be strong, have courage and be brave. Hi Courtney. Your contributions to my life and growth and walk (with The King) have been Most Meaningful. Priceless. I’ll certainly miss you. You have my Love, My Prayers and My Blessings. I wish you Total Wellness and I believe that you’ll come out of this HAPPIER than you’ve EVER been! I look forward to crossing paths with you again, if and when you’re ready. Many Blessings to You and Your Family! Yes – the blog will be here and available for those who want to go back and do the Bible Studies they may have missed. Thank you! We will keep up the good fight and look forward to your return in future. I’m a newbie to this whole GMG thing. I did 1 Samuel and I loved it. Slowly reading Gods word a chapter a day has invigorated me in new ways. I have been a Christian for 20+ years and apart from Sunday sermons and Christian literate. I have not spent much time reading the Bible for myself. His word has had a way of meeting me right where I am. Thank you for sharing and teaching and leading me in a new way to read the Bible. It has been so good and simple and doable that I even got a Luke workbook for each of my kids. There pace is slower but bit by bit they are taking in Gods word. Peace, blessing and prayers for you and your family. I know my hope alone should be found in Jesus but hearing about your family crisis has made me think, on this side of the world, where there is evil, your marriage gave me hope. What tha heck? Now this?!?? If you guys aren’t anymore, there is no hope for the rest of us. I will be praying for you. I hate that you are going through this. I really hope that he will find his way back to you and you all will have peace and happiness together. Go and be well! Get refreshed! 😉 when it is the right time…he will bring you to greater heights. Thank you for the studies you have lead us through and thank you for your honesty. As just going through some medical issues where God spoke to me on being still and knowing He is God and facing these issues with just God and myself at the beginning I can fully understand where you are. What a wonderful journey you will be going on. People can patch us up but only God can completely heal us. My prayers are with you and your family. Just let it flow. I will miss you and all that you do. I pray you find peace and healing. Will Good Morning Guys be continuing? 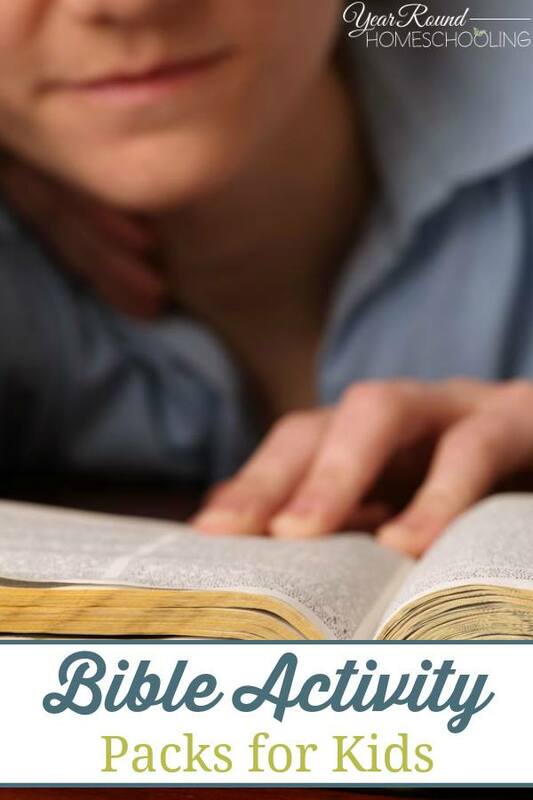 What is a good Bible for teens? Thank you so much for the guidance you have heard from God. One of the things I’ve learned as I have followed along with you and the rest of Goodmorning Girls and reading Womenliving Well is that when God speaks we need to listen! You are doing what is best for you. I’m proud of you for listening to God to be still for as long as you need to be. I will miss your daily reminders, your heart felt guidance in studying the Bible and just the honesty you give through your heart and posts. God bless you to heal and restore that which you have been struggling with. We are praying for you. We are all sending you our love and praise with you our God’s love for all of us! God speed and prayers for your continued healing. **Please, please, leave up your blogs. I still have a few books to catch up on and more renewal through your words to read. Courtney, I am praying for your healing. I completely understand the call you have on your life right now. It is best to obey God and leave the consequences with Him. You are such a blessing and now it is time for you to receive your blessing from the Lord. You are dearly loved and we all appreciate your ministry and how it has helped each one of us. Thank you for demonstrating faith in God for an unknown future. You don’t know the future, but He most certainly does as He had them written down before the foundation of the earth. This is great news (for you!) You have to listen to what God is saying. I was deliberating about if I should go with GMG and do 2 Samuel or read Acts alone. This has confirmed my initial feeling that for this season in my life Acts would be right on time. Personal study with the bible can be just as fulfilling. There are sermons on YouTube or on church wesbsites that can support what you read, or bible commentaries to help you go deeper. Keep reading and exploring on your own friends, and watch how God starts speaking to you! Courtney, do you and take all the time you need! You will be missed but there is great healing and peace in solitude. Big hugs! Take as long as you need!!!! You will be missed but we will all survive! We have so much to study! Praying for you during this ‘quiet’ time that God will strengthen you and show Himself strong in your life!!!!! Prayers are with you as you go through this time. You will definitely be missed and we have learned so much but we will go on and look forward to your return when the time is right for you and your family. You are an amazing and strong person. May you feel God’s comfort and love surround you as you “walk with the King”. Even after all you’ve done for us, you give us guidance on how to continue our walk. You are such a wonderful woman. So kind and compassionate, full of grace. I’m praying that the road ahead is gentle and loving and leads you back into a life full of more peace than you ever have known. I pray that all of your wishes come true. You have changed my life and I will be forever grateful that our lives crossed paths. I will certainly miss you during your quiet time, Courtney. You’ve been such a blessing to me! I pray that God blesses you for listening to Him. Who said the path was straight? It is narrow, but I’ve known few who have walked a straight path. So as you take your turn on your path, I wish you a smooth trip. I hope the path leads back to us, but what matters is Who you listen to at each step. Thank you for your ministry! You are in my prayers. Prayers for you and your family, Courtney. Thank you for your ministry all these years. I want to put a plug for Rejoice Marriage Ministries. It’s a great, encouraging site and community helping those in marriage crisis and divorce. They have been encouraging to me in the trials in my marriage. May God richly bless you and bring you healing. May God be with you during this season of renewal. You are such an example to many, even this, explaining where you’ll be instead of just being silent is an example of your godly character. While we like to think we can do it all, eventually God gets through to us that some things need to be let go, if only for a season. It takes someone strong in their faith to be obedient to Him. Things have been brewing since well before this year & I’m thankful you are going to get a much needed alone time with our Father. I admire your willingness to be an example to us all & will lift you & your family in prayer. Thank you for leaving your resources available to us all, personally I gain much from studying with them. Courtney, so thankful for your faithfulness to always walk with the King! Also, for leading me to a closer walk with the King. My thoughts and prayers are with you. Courtney, your blog and studies have encouraged me so much over the last couple years that I’ve been following along. God has used you in so many ways. Thank you for all your dedication to the Lord, especially now. In this world it’s so hard to separate ourselves from social media, thank you for obeying Gods words to you, this is so encouraging to me. You are a woman after Gods heart! I look forward to hearing how God blesses you during this quiet season! Be blessed!! Quiet in God is good. And you do need healing dear. I pray wellness and clarity for you. Courtney, I have only hit and missed your site and was very much looking forward to being seriously plugged in in June, after our son graduates high school, after I have finished administering three separate family estates, after I have caught up on filing and accounting for my husband’s business. The world keeps us TOO busy. If you return, we will have SO much to share! I am totally AMAZED and ENCOURAGED by your COURAGE AND FAITHFULNESS to Him. Three years ago He and I had several wonderful conversations during a road trip about a new venture, and I have been waiting on Him…and he has been waiting on me as well to get to a place where we could embark. Boy do I have a lot of work ahead, but more importantly a LOT of QUIET TIME with Him to be able to go where he wants me. I cannot thank you enough for the encouragement, and you will be in my prayers for healing. May “The Lord bless you and keep you; the Lord make his face shine on you and be gracious to you; the Lord turn his face toward you and give you peace.” Numbers 6:24-26. His peace is the most amazing gift! I will be praying for you! You are making the right choice to focus on your family and God will lead you through this difficult time. You have an amazing gift and I look forward to return! Thank you for stepping out in faith! And for sharing it. Good for you! I was actually wondering if/when you would take some time off for yourself. Having been through some extreme hardship two years ago, I completely understand that there is time needed to process, grieve, and rest at the feet of Jesus. How wonderful that you are following the Lord’s leading and taking this time to heal. You need to recoup for yourself, then to continue to be the great mom you are and lastly for us. We love your studies and encouraging messages which have spurred us on to study God’s Word, love it more and love Him more. You have been so faithful. I pray for you regularly since you shared your hardships this year. I pray for your children too and now your friend’s children. May you find peace, comfort and feel His arms wrapped around you and carrying you as you rest and heal. Enjoy some time to yourself more, enjoy your children more and know that you are loved from afar! I wish I could watch your children for you to give you some time for yourself (We homeschool and know you are hardly every alone:)) but since i don’t know you 🙂 I will continue to pray instead! God speed to you, Courtney. I will be praying for this time “away” for you. You are loved and appreciated very much by me and MANY others. Hugs! For some odd reason I knew that you were headed to this answer “To be quiet”. I will continue to pray for you. And in the meantime, I will continue to read my bible. God bless. I just want to say thank you. Thank you so much for all the effort and prayer that has gone into this program. It has been such a blessing for me. I am praying for you and your family and I will continue to do so. God bless you, sister! God bless you abundantly Courtney. You are such a blessing to so many. I am so sorry that there has been so much heartache in your life. We look forward to whatever the future may be like at Women Living Well and wish you all the best. I will be praying for you during your time of rest in Jesus arms. Although we have never me,t I consider you a friend. I pray that you find healing and comfort in your journey. Thank you for sharing your life with us and encouraging us to study the Word. I will miss your posts and wish you peace and happiness and wholeness. May God richly bless you and your family. You will be missed, Courtney. You were instrumental in my decision to spend time each and every day in God’s word. I have spent the past 14 months colouring my way through the Bible and I am so thankful for the difference this daily time with God has made in my life. Courtney, I’ve always enjoyed the wisdom you’ve generously and enthusiastically shared. I’m so sorry for the losses you’ve had. If God is calling you to him, there will be huge blessing in taking some deep, personal time alone with him. Praying now for healing and guiding only God can do. Like many of the other women who have posted here, I am praying for you. I just wanted to thank you for the work you have done. I’m a “recovering catholic” and wanted to really know God. One day I stumbled on your site. I love how it’s formatted, how you kind of sum things up and ask provoking questions for each chapter. It’s really helped me understand what God is trying to get across to me when I’ve truly struggled with understanding the Word my whole life. Although I feel kind of lost now that you will be gone, I truly understand and know you are doing the right thing. So I just wanted to say thank you. And I hope God comforts you in the way you need Him to. The Lord calls us to come into the quiet with him. There he refreshes us, binds up our wounds, helps us heal. He wants that intimate close walk with us. Sometimes he wants us to go deeper..often that happens through pain. This past year has been one of those years for me as well. I’m pray that you will find healing , refreshment and rekindled joy in your journey as you drink deeply from the fountain. – I truly think each person in public ministry needs to take the sort of break you a taking. It keeps us closer to Jesus when we take time to come apart and rest a while! The Lord bless your time with Him, and your willingness to obey his call. This reminds me of a time when life was really cruel for me and if it were not for faith i doubt i would be alive today. Courtney, I just wanted to tell you how thankful I am for your faithfulness. 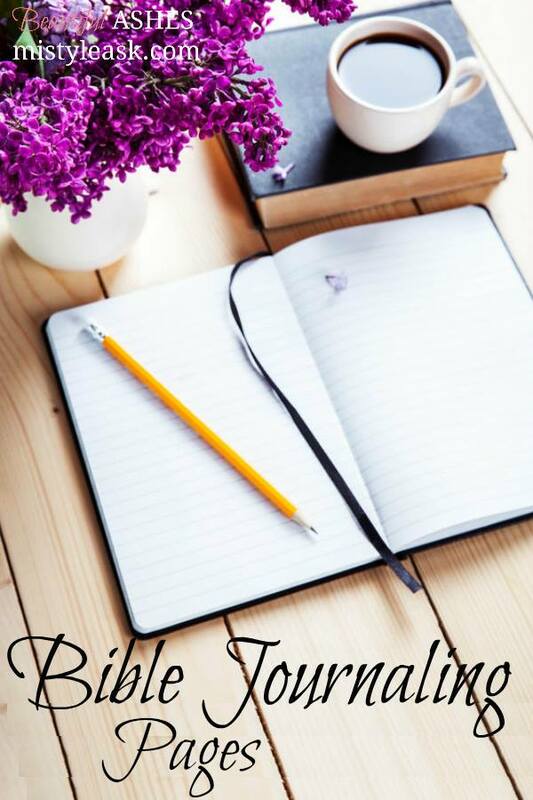 You have been blogging for many years now and I can remember a time when I first came to Christ (over five years now) and I had no clue how to read or study the bible. Your blog and all of your efforts to encourage women throughout the world through your website gave me the direction and determination that I needed to learn and grow as a Christian. I know that God will show you many things and heal you in many ways during this break because He loves his daughters and will never forsake them. Praying that He will bless you with much love and peace. I want you to know that ever since I read about your break up with your husband and the loss of your dear friend I’ve been praying for you and your family. I’m fairly new to your blog. I’ve only been following you for a couple years but boy have I learned a lot from you! You’ve helped me to grow even more in the Lord and I will be eternally grateful for that! You are an amazing, powerful woman of God! I have to say that even as the Lord is telling you to be quiet, and you are being faithful in listening to him you are teaching us all so much! May the Lord bless you and keep you may he make his face to shine upon you and give you peace! Take as much quiet time as you need with the Lord. I will continue to pray for you and your family. Be blessed by our king! I know it’s been a while since this post went up, but I found you a couple of months ago and I’m starting your studies today. First of all I pray that the Holy Spirit works wonders in you and through you. God will make sure that you get through this no matter how tough the situation might be, don’t let depression get the best out of you. In January of this year I felt like I was at my peak of faith. I felt so free and so full of joy. In words of Christine Caine, I was ‘blessing and confessing’ everywhere I went. A few days into the month my husband left for a 4 month training. He’s left before so I had this. Two weeks into the month my grandma passed, i was devastated as there were so many unresolved situation and feelings that I didn’t get fixed. Four days later my husband’s grandpa passed. My heart was now aching not only for my dad and myself, but now my husband was also hurting. I felt like there was nothing I could do to stop the pain coming from so many directions. Two days later my dog had to have a hematoma repair surgery and I rented a car to take him – since I had dropped off my car a day before to get repaired because a deer hit it-. The rental would soon be covered in my dog’s blood since he shook his head so hard that the bandage came undone. That was it. I lost it. I started crying and asking God why was all of this happening at once. Why now when I’m all ‘alone.’ I could go on and on with the questions I kept asking, but all of the questions kept leading me to two simple words: BE STILL. When I felt like running in a million directions, He told me to be still. When I felt like kicking and screaming, He told me to be still. You see it is normal for humans to try and understand the why’s and if we can’t hear anything to try to fix it ourselves. Be still and let God make the path out of the storm. Let Him show you what path is the right path. Healing is a long road, but is one that is worth walking. It will take great strength to get back on your feet, but you will make it. God delivered you from the giant and the bear, and He will deliver this new giant into your hands. Be confident and be still. I just found your site last night. Are you taking the site down or just not adding new content? Welcome Deborah! I’m so glad you found us here! The site is remaining up and I will return soon to writing here after my break. I am just finding you, but I thank you for your words of encouragement. 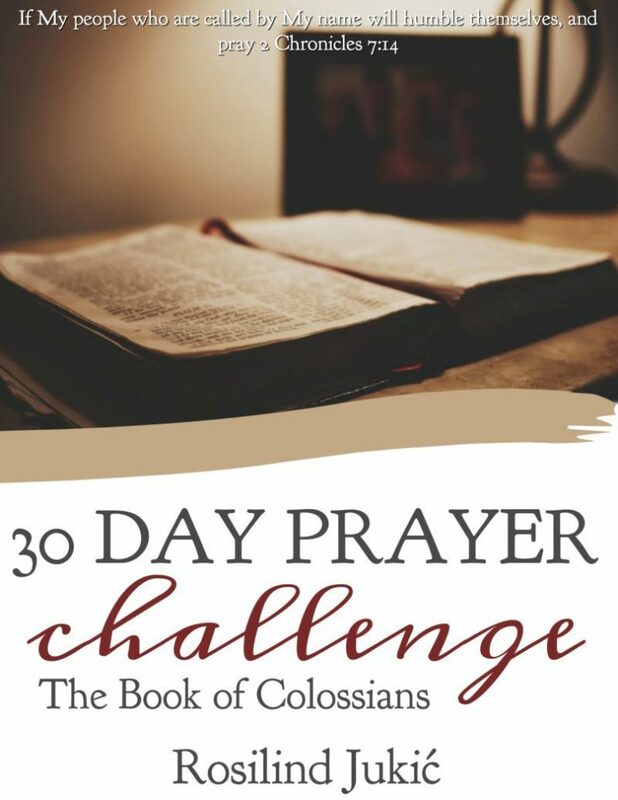 “Over the past 2 months, when I am having my quiet times, I continually hear God speaking to me in His Word through various scriptures, that I need to be more still. I need to be more quiet. I need to stop.” I will keep you in my prayers during you time of healing. I too am doing just that. After several major disappointments, loss of my mother, etc. & fifteen years of teaching, I have found myself without a contract (private school) because I wasn’t a ‘good fit’. I realized God is telling me to stop and heal, so I am. I could almost hear those words loudly in my ears: “….I continually hear God…….I need to be more quiet. I need to stop.” Wow! This has inspire me, even though I am really saddened by your going off, I most certainly know it is very important and absolutely necessary for you to do that because none of us is divine. We are all human, and sometimes because we are in the lead in some of these life groups people like us will think we are life proof(as in Bullet proof) and so we do not get hit by hard circumstances in life. I am personally going through a very tough time in my life that sometimes I don’t know how and when I will get through it, and so I have decided to be quiet and STOP! just like you, but of course keep checking in to see any new messages…just in the hope! I love you dearest Courtney and I am praying for you too in this time as you seek the Father and Our Lord. May you find more inspiration and healing during this time. Much Love and warm thoughts to you. Dear Courtney, I am really missing you and your insightful Bible studies. I understand you have to sit quietly with God now and I hope and pray he will deliver you from your burden and heal you in every way. Lotsaluv in Jesus, our saviour. Just recently heard about the challenge you are in. About a year and a half ago, God impressed on me to start praying for some of the online women’s leaders. Satan has been attacking the family for years, but the past five years I have noticed that he has upped the ante and is attacking Pastor’s and wives, and women’s leaders. As a pastor’s wife, I and others I know have been hit with severe illness causing our pastor husbands to have a divided attention. And for women’s leaders he is trying to crack the foundation we stand on. Stay strong. God is faithful. I am so sorry for your pain. I too went through a very devastating trial in my marriage about 5 years ago, and it continued to grow until 3 years ago but God is faithful. He proved to me that He is in control and through only what He could do, He restored my marriage. Last September I went through another trial with my Mother’s sudden death from a stroke. This happened just two months before my husband and I were to renew our vows for our 25th anniversary. But because God is in Control, He’s Sovereign and Just, and He loves us. He brought us through that trial and we renewed our commitment to Him and each other. Now we are even serving as volunteers with a marriage ministry. My prayer is for you to first continue to lean on Him (I still have to in all things, because we’re targets), know He’s in control here, His hands aren’t tied. That You stay faithful to Him, in obedience to Him, because He will bring you through all this pain, help you to know your heart and what needs fixing. He can bring a transformation and healing the world doesn’t understand or know. Remember all things work together for those who love the Lord. Romans 8:28. Trust and obey Him. I pray for repentance and restoration in all things, and that Your love for God will be so deep and high, No one or thing could ever take that away. I pray this for your family and husband as I do my own. Remember He first loved you, there is no surprise to Him what has occurred, as James 1:2-6 talks about facing these trials to grow and strengthen you over time if you continue to let Him grow in You. Thank You for all you’ve ministered too many women including myself. Prayers for you and your children. You are such a blessing! Courtney walk with the King so he can guide and lead you on his journey. God Bless you and you are true woman of God. Thank you for the encouragement and sharing your testimony. God Will Restore. I miss you. That’s all. I hope this time off is serving you well.